Q. How do I apply for a Federal Work Study position? Federal Work Study (FWS) positions are posted on the Berkeley College website at http://berkeleycollege.edu/admissions_bc/3295.htm. 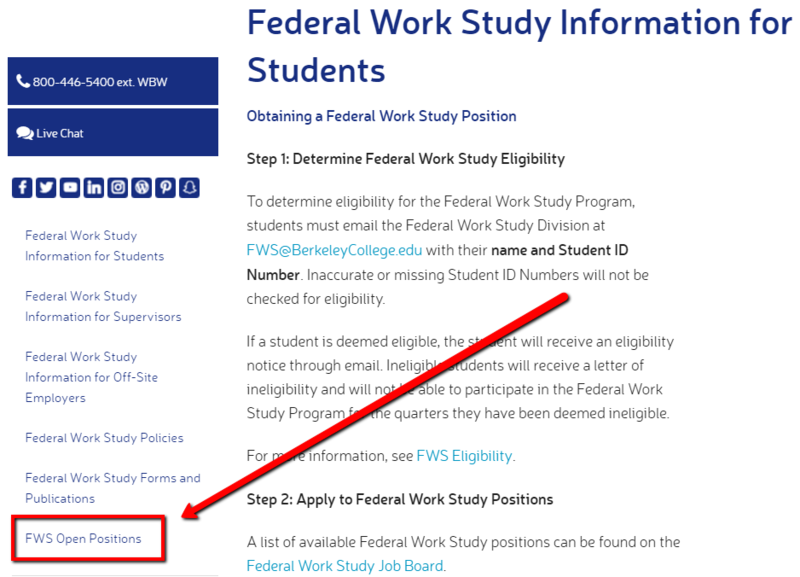 In addition to FWS open positions, this page also provides all pertinent details to FWS eligibility and the application process. ​Once you're on the page click on "FWS Open Positions" on the left. This will direct you to the page with all open positions.